oh noez. robbo is cool now… quick someone get a camera to capture this historic moment! I don’t get the top one. Wtf is wrong with it? There’s nothing wrond with it; that’s why it’s funny. 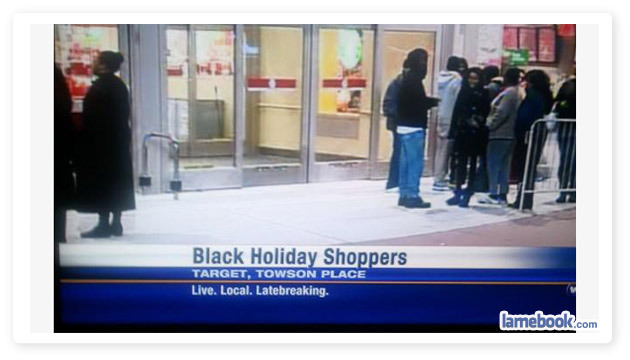 The title is “Black Holiday Shoppers” and it shows a bunch of black holiday shoppers. Yup, so proud that is my local tv news station too….It’s Channel 11 news in Baltimore, MD. I actually saw this earlier but I was at work and couldn’t get a screenshot of it without DVR. I’ve never understood Black Friday shopping at discount stores. I mean how much lower can the prices get? Is it really worth all the waiting and fighting other customers for things? oilersfan, the fact that you just used two (2) question marks indicates that you just asked two (2) more questions than the majority of the mouth-breathing, knuckle-dragging sub-humans you share a country with. Go, you good thing! Have a gold star. No, have two (2). I love when the black folk lute. Everyone can get behind an object that needs to be strung up. I’ll probably get torn a new one, but until a few days ago, other than for the Steely Dan song, I’ve never heard of Black Friday. 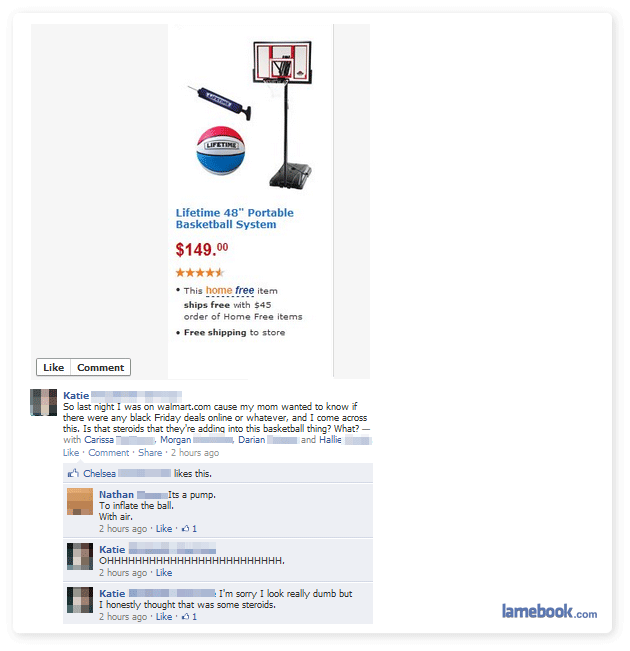 It’s ok “wordpervert” you weren’t missing anything, unless you like to get maced and fight over discounted kitchenware. Same, wordpervert. I thought that Black Friday was when the 13th day of the month fell on a Friday. I need a new spatula. Walter – what better way to say “I love you”, than with the gift of a spatula. Post 2: I thought it was a syringe at first.